Home / Fashion / Do you think fashion matters at all? For more than 15 years I glance over fashion magazines to find a style apt for me. The style which will work for me! I get the same question from my followers ‘how does fashion matter?’, ‘Does Fashion matter?’, ‘How fashion matters?’ In this section I will talk about it all. Wearing clothes is often misinterpreted as being fashionable but you can’t walk naked! If you want to look good to feel better about yourself, that is exactly being fashionable. You catch up with the latest fashion trends without caring about the inspiration behind it. You don’t even bother about the culture behind it. This is why it is said that fashion ties different cultures, religious ethnicities and beliefs. Fashion is the only way by which you can express your individuality. You may bring out your personal style by dressing up in YOUR way to show the real YOU. So, fashion shapes individuality but it is interesting to note that fashion is often represented differently by different cultures. You can embrace fashion and look good on any special occasion or festivity. Fashion gives you the freedom to look the way you want. You may follow 3-4 dressing styles and appear unique. As fashion evolves from within, it is important. If you do so then it is like moving out of your comfort zone. 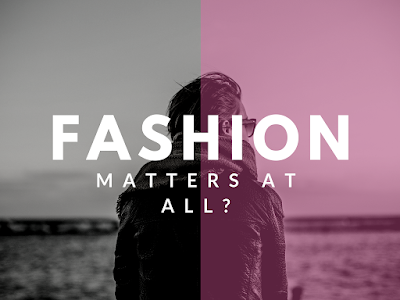 Fashion does matter a lot and is not ‘frivolous frippery’, as it is often labeled. You are old! You are boring if you are not catching up with the latest fashion trends. It is not nonsensical that should be dismissed or brushed aside. If you aren’t fashionable, you are missing out something big. Fashion industry is also relied upon to a great extent. People do take part in fashion events and fashion shows to know about the latest fashion trends. There are many who follow the fashion industry to gain inspiration about the design of apparels. We also have fashion shows that rely on fashion designers. So, how can you say that fashion doesn’t matter? Yes! Fashion has the potential to change this world, to reform this world. What about the people who are employed by the fashion industry? There are millions of people involved with the fashion industry. Doesn’t it contribute to our economy? It generates employment, and millions of individuals depend on fashion industry for livelihood. If we see things from different angle then fashion has the ability to show you in different light. You may highlight your religion, your group, affinity and belief by following fashion. You can show social and political affiliations. You may showcase your style by being fashionable and also make a statement from where your social affiliation comes from. Please note that the change in dressing style of people from age old times has also contributed to societal change. Fashion is simply a world-changing affair. It allows us to transform this world into something better. We may look forward to sustainable future. For example, wearing recycled clothes is more fashionable nowadays. It gains a lot of priority currently. Fashion is a wonderful tool to express yourself. You may speak through your apparel as to who you are. It is more to do with creative expression. 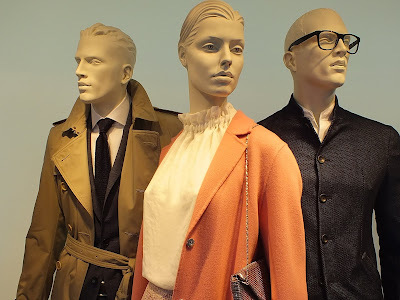 Indeed, fashion is also a crucial part of our personal growth and development. From kids to becoming an adult, we somehow follow fashion and depict who we are underneath. Fashion is all about being creative and artistic. It doesn’t imply spending thousands of dollars or rupees to look good. If you know how to utilize fashion for your benefit, you can be stylish without investing anything huge. Being fashionable is not just about buying expensive clothes, fashion jewelry but it is more about how you carry yourself. The way you walk, the way you talk and express, they are all counted in fashion. Fashion is the way to expressing yourself and so it is important. It is the sort of universal language which is understood by style enthusiasts and fashion lovers all across the globe. It gives chance to make distinct statement to the world. Fashion is the form of art whereby you put on a dress and accessorize it. Fashion also takes our economy forward. For many, wearing new clothes is fun and so they shop for it both online and offline. Fashion only makes you look attractive but also it boosts your self-esteem and confidence.